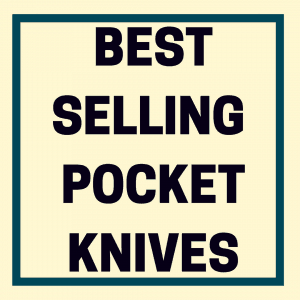 You are here: Home / Pocket Knife / How to Select the Best Kids Pocket Knife? Once upon a time, a kids pocket knife, as well as the young boy or girl using the knife were a unique tandem. A kid who played outdoors could use a pocket knife to do all sorts of things. Knowing that they were entrusted with a knife meant that they were expected to live up to the trust that had been placed in them. Camping trips, whether with a scout troop or a family, made timeless memories. They were, and depending on the family still are, a treasured time in a child’s life when boys and girls leave behind the tame familiarity of home and find out how to “rough it” in the outdoors. It’s a chance for a child to enter a world that seems to be vanishing, where a child can be Tom Sawyer or MacGyver and meet nature on equal terms. And be it a camping trip or the cub scouts, it’s important to search for the best knife on the market if you’re considering letting your little one get first-hand experience with nature and its diverse beauty and danger. Below we move forward, please quickly use our interactive table to compare a few unique pocket knives that responsible parents can consider for their boy or girl. In this table, which is interactive, we compare each knife based on size, price, customer review ratings and blade material. 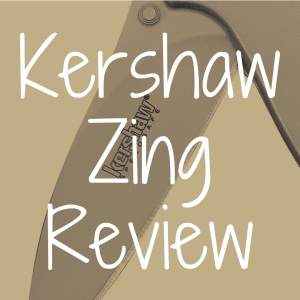 Kids Pocket Knife: Should a Kid Own a Knife? Computers aren’t handed down from father to son. There aren’t Normal Rockwell illustrations of heritage iPhones being taken from a place of honor in the family room to be turned over to a child on a special birthday. The word “upgrade” has replaced the term “legacy” now that holidays and birthdays aren’t memorable unless they include a trip to Best Buy. But are children better off with these expensive toys that are out of date as soon as the latest model is out? Who would ever have thought that the notion of kids playing outdoors would inspire nostalgia? In these days when childhood obesity is a national epidemic, and parents wonder how they can lure their children away from the toys and gadgets that keep them sedentary, and grandparents wonder if they have anything useful to teach their grandchildren, adults are searching for ways to encourage activity in kids. 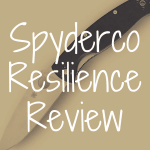 And a pocket knife is one way to entrust a child with the responsibility to have a new kind of fun, provided they are instructed how and when to use the knife—and how to appropriately do so. What is the Right Age for a Child to Own a Knife? Owning a knife used to be a rite of passage for children, but age isn’t the only factor that’s important when deciding at what age your child is ready for a knife. Is your child mature enough to know how to use his pocket knife responsibly? Pay attention to how well your child handles other tools, as even a pair of scissors can be an indicator of whether the boy or girl is aware of safety rules. Will the child listen to instruction? A good time for teaching a child to use a knife is between the ages of 8-11. There’s a lot of growing up that takes place between those not-a-little-kid-but-not-an adolescent years, and maybe that’s exactly the right time to help a child develop more physical dexterity. This is also an opportunity to show your child that you recognize that he or she is growing up, and that with age comes trust, and the charge to live up to that trust. Does your son or daughter recognize the fact that a tool must be properly cared for? 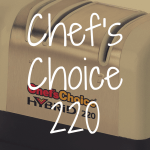 Before deciding whether to introduce your offspring to the world of knives, make sure that you can be sure that your child is ready to take this step. The first rule to teach the new knife owner is to respect the knife, because the same knife that can be so useful can also do serious harm. A blade that’s sharp enough to cut a tree branch can be dangerous to a person’s safety if not used properly. A folding pocket knife is going to spend much time in the pocket, so teach the child to fold the knife when finished with it, in order to be safe. This is also a good rule for knife maintenance as well. The first instruction you should give your child regarding pocket knives is how to use the appropriate grip. When using the knife, the blade needs to be held firmly in hand; when using it to cut, be sure that the child knows to cut away from the body. Use a Q-tip or toothbrush to clean the knife after using it. The knife must be kept dry. After washing it, the child needs to both towel it dry and air dry it before closing it. A knife is only good if the blade is sharp. It’s useful for the child to learn that knives need to be sharpened regularly when the blade becomes dull. Let your child see you sharpen the knife, reminding the child that a dull knife, because it requires more effort, is actually unsafe. Knives need to be put away in a knife sheath when not in use. This is important for personal safety but also to keep the knife safe. Nature is a great place to use a knife, but not to leave it; rain can cause the knife to rust. What are the Best Pocket Knives for Kids? One way to make the transition from toy to tool might be to give your preschooler a knife that doesn’t pose a risk for a four-or five-year old, but allows the child to learn what a knife can teach him or her while you, as a parent, can gauge how your child handles the toy. The Theo Klein Toy Swiss Army Knife is designed for young children ages 3-8 (do note that this item can be a choking hazard for children under three years of age) who obviously shouldn’t be allowed to handle a genuine blade, but who can learn other things from a plastic toy knife that looks like the real thing. 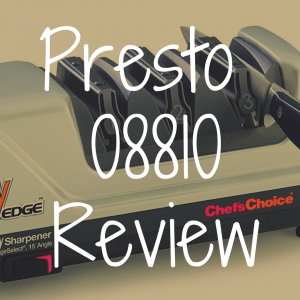 Amazon reviews from very satisfied customers and family members make the point that this is a great “starter” knife for a child, although one parent was surprised by the large size of the knife. Another father bought one for his 4-year-old son, and used the gift as a way to teach his son the correct way to hold it, open it, and use it. The father wrote that his son soon learned how to correctly handle the knife by watching and imitating what he had been taught. When the time is right for a real knife, that boy will be ready. Ready for a Pocket Knife, But Which One Is Best? One day your child will be ready for a real pocket knife. 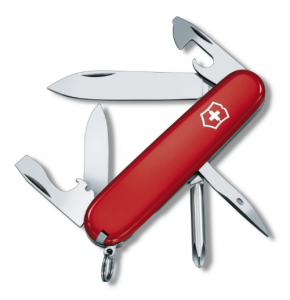 The Victorinox line provides other stand-out Swiss Army Knives, priced from $17.50 to $91, that give the young owner a chance to develop his skills as he learns more about how to use and care for the knife. Other reputable manufacturers also have developed knives for boys and girls to use, as well. Here are a few of the most notable ones. Gerber Mini Paraframe: The renowned knife manufacturer Gerber has a knife that’s perfect for the first blade in a child’s collection. The Mini Paraframe, priced at $16.26, is a lightweight Gerber knife with a stainless steel handle, a 2.22” long locking blade and a pocket clip. Bantam Swiss Army Knife: For $18.59, you can buy your son or daughter a Swiss Army Knife that comes equipped with a bottle opener, tweezers, and a toothpick. Kids love the gadgets! Boy Scouts of America Official Cub Scouts Pocket Knife: Another reliable source for a first knife for your child is the official knife of the Boy Scouts of America. 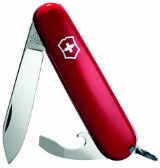 Costing $19.99, the pocket knife comes with a flat head screwdriver, a cap lifter, and a stainless steel 2¼” long blade. 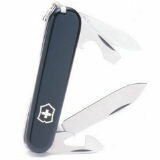 Victorinox Swiss Army Recruit Knife: The $22.50 Recruit has two blades, a bottle opener, and a can opener. It’s a handy tool, as well as lightweight for carrying. Victorinox Tinker Swiss Army Knife: The $29 Tinker comes equipped with the standard Swiss Army Knife accessories, but also has an edged reamer and a Phillips head screwdriver. 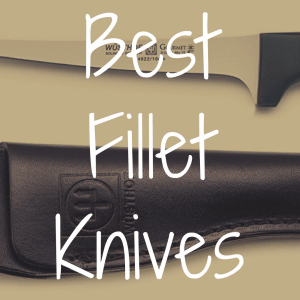 If you’ve given the previous knives as gifts for successive birthdays, this one signals that your son or daughter has graduated to a new level of maturity. Learning to use the tools at hand provides a child with a sense of accomplishment that can build confidence. Will People Object to a Child Having a Pocket Knife? It’s impossible to put too much emphasis on teaching your child that he or she needs to be careful with his knife. We live in a world where box-cutters were used as a murder weapon by terrorists, and it’s important to keep in mind that some people may be very uncomfortable at the thought of a child having a knife. Children can’t take a knife to school, or they run the risk of being arrested. So make sure that your child knows when it’s okay to use the knife, and when it’s absolutely not okay to use it or even carry it on their person. Other parents are a great resource when deciding if it’s time to give your child a knife. 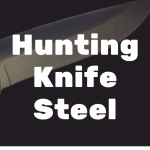 They can explain what their rules are, and also relate some of the experiences that they had after allowing their son or daughter to become a knife owner. You’ll hear the pros and cons of giving knives to children, but that will help you make up your mind. It’s true that knives are not toys, but they can be a way to steer your child into a confident maturity that still allows him or her to have the kind of timeless fun that generations of children previously enjoyed. Below, watch this young boy’s story of how his mother at first didn’t support his passionate interest in pocket knives. But, after finding his dad’s knife (and sword) collection–and some knives his father left to him following his passing–she changed her mind and his interest (and collection) soon grew. What’s Are the Best Wallet Knives?